Just in! 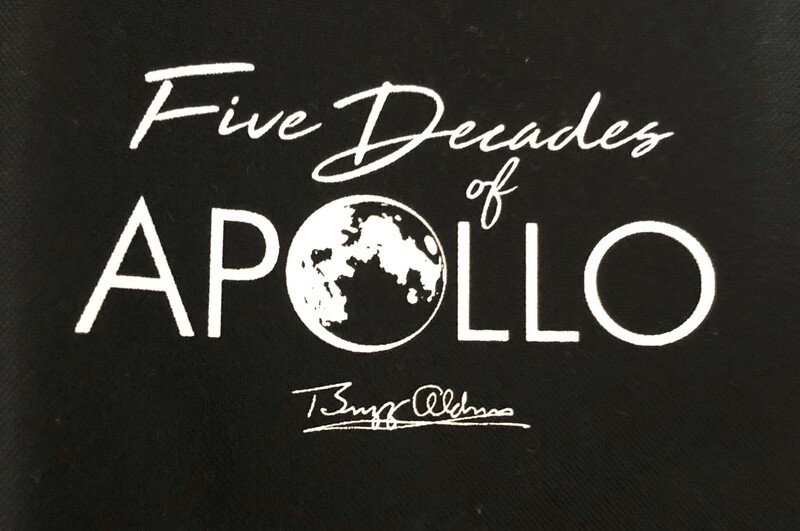 Buzz Aldrin This Five Decades of Apollo polyester, zippered tote is your perfect travel companion! Liberty Bags Bay View Giant Zippered Boat Tote is made from 600-denier polyester. 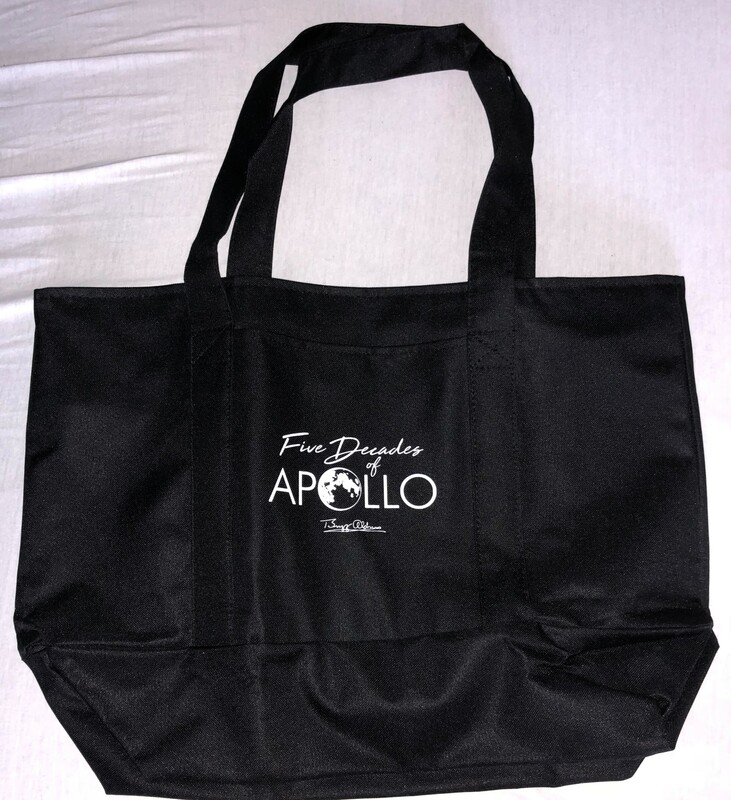 This is a great way to show your support of the Apollo XI mission and the bag is SO convenient to carry loads of stuff! The bag has a contrasting gusset bottom with matching fabric handles. Large outside pockets make it easy to stay organized and an inside zippered pocket keeps your valuables hidden.